The leading social network for business professionals in the German-speaking market, XING provides more than 12 million members with a platform to connect and collaborate. A hub for job-seeking, hiring, news and idea-sharing, XING propels careers and drives business success in every industry. As XING’s operations expanded, it found that its outdated translation management solution lacked the process streamlining and collaboration features required to meet evolving business needs. By replacing the aging software with PhraseApp – an all-in-one, web-based localization platform – XING has streamlined translation, simplified management, and enabled scalability. For businesses operating in a multilingual environment, releasing new resources is rarely as simple as creating a single, native-language version – to maximize reach, localization is an essential step. Translating text into numerous different languages can be a time-consuming process; and without an effective translation management solution in place, localization can often delay the release of new products and features. This is something that XING knows all too well. With as many as 250 resources needing to be translated into ten languages each week, the business relies on its localization management platform to coordinate its vast number of localization projects. And, with XING enjoying a strong growth trajectory, its localization requirements have steadily increased. As a consequence, the business network found that its translation solution was in need of powerful additional features. If left unchecked, these issues would have risked delaying XING’s release cycle, negatively impacting the platform's pace of development – and XING knew that as its business continued to expand, the problem would only get worse. XING wanted a new translation platform that was faster, more reliable, more functional, and more scalable. It looked at several different solutions, and – following a thorough evaluation process – the company’s engineers, copywriters and translators unanimously agreed that PhraseApp was the best choice. “PhraseApp stood out for a number of reasons,” recalls Guido Behrenswerth. “The quality of the product itself, PhraseApp’s willingness to listen to feedback and feature requests, and the quick and helpful customer support were all decisive factors in our decision. It also didn’t hurt that PhraseApp is almost literally our next-door neighbor in Hamburg." Above all, though, XING was impressed with the solution’s versatility. PhraseApp supports all kinds of software environments and it can be quickly set up to work with both small and complex projects. PhraseApp’s versatility – 38 localization file formats across various platforms and programming languages – is highly beneficial for XING, given that its services run on a variety of platforms and use a number of different frameworks and programming languages. A leading-edge translation management solution, PhraseApp offers many features – including a powerful API and an intuitive central dashboard – that are designed to streamline all aspects of the localization process, making it easy for XING to create and manage its translation projects. Delivered as a web-based service, PhraseApp is also highly scalable – easily capable of supporting XING’s increasing localization requirements. Additionally, with PhraseApp in place, many localization tasks are now much simpler than they used to be. Thanks to the API, it’s become easier for XING to create projects, add languages, upload keys, and update resources. New verification options have helped streamline the proofreading process, and automated suggestions simplify translation. As a result, PhraseApp offers improvements throughout the entire localization process, and it’s been well received by everyone involved: engineers, copywriters, and translators. The API allows you to import locale files, download locale files, tag keys or interact in other ways with the localization data stored in PhraseApp for your account. Automatically notify your translators about changes in the source language and request a revision of the translated keys to ensure a consistent communication in all languages. Invite as many users as you want to collaborate with you on your localization projects: Product managers, developers, translators or even community users. With more than 12 million members, XING is the leading online business network in German-speaking countries. 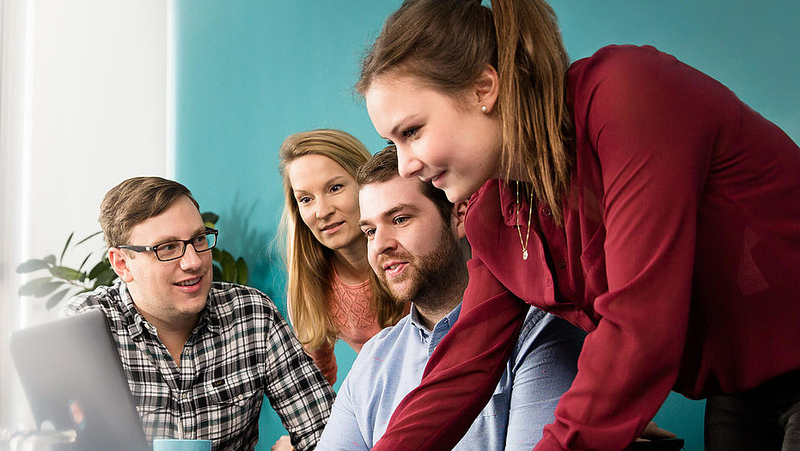 Used by employees from every industry, XING helps people to connect with one another and look for jobs, new hires, expert advice, and business ideas. Headquartered in Hamburg, XING employs more than 1,000 people and generated revenues of over EUR 140 million in 2016.